The history of the company began in 1896, when Pak Sung-jik opened his small shop in Seoul. In 1946, his successor Pak-Du-biyung gave a new name to the firm - Doosan. This is how the modern history of Doosan Infracore began. The small South Korean company Doosan gradually grew into a large world company with its head office in Seoul, factories and offices around the world. At the moment, Doosan is the largest South Korean manufacturer of forklifts, construction equipment, CNC machines, and also produces armored vehicles, missile systems and torpedo parts for the national army. The production of its own Doosan engines was launched in 1958. In 1975, a line for the production of medium-sized engines was licensed under the license of MAN, and in 1979 - a small-size production facility licensed by ISUZU. Since 1985, the company has developed its own products. With the acquisition of Daewoo Heavy Industries & Machinery in April 2005, Doosan took a new start in the construction machinery and engines market. After that, all equipment began to be supplied to the market under the dual Doosan-Daewoo brand, designed to ensure continuity. After the main task of the dual brand was fulfilled - consumers had to get used to the new name and make sure that the course and policy of the company remained unchanged - in early 2007 Doosan Infracore switched to a single brand - Doosan. In 2006, Doosan Heavy Industries and Construction and Doosan Mecatec signed a long-term leasing agreement on the lease of 110 hectares of land in Vietnam, which allowed the expansion of the world production network. In the spring of 2009, Doosan Heavy Industries Vietnam, a subsidiary of the South Korean company Doosan Heavy Industries and Construction, opened a new plant in Vietnam in cost. He took a worthy place in the extensive network of company enterprises around the world. In 2007, Doosan acquired three divisions of the largest US company Ingersoll-Rand Company Ltd., including the world-famous manufacturer of construction equipment Bobcat. The acquisition of Bobcat, the world leader in the production of small construction equipment, increased the Doosan group's sales in the same year to approximately $ 7.4 billion, and moved the company from 19th to seventh place in the ranking of world producers. 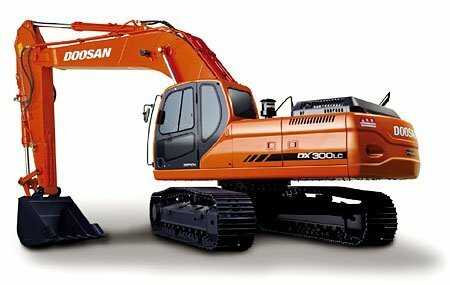 At present, Doosan Group sells its non-core assets in order to accelerate the process of transformation into a holding and strengthen its positions in the construction equipment market. After all, now Doosan produces a wide range of products - from food and beverages to engines, heavy equipment and power plants. In 2006, it was announced that the parent company Doosan will be restructured into a holding company, which should be completed before 2010. Thus, the company seeks to change the main direction of its activities, shifting the focus from the production of food products to heavy equipment. For example, in mid-2009, Doosan sold its alcohol production unit and the packaging division of Doosan Techpak. 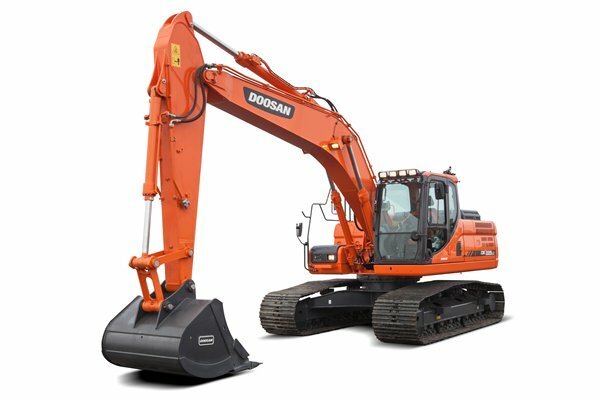 Doosan Group includes 15 branches, including Doosan Heavy Industries & Construction, the leading power equipment manufacturer in South Korea, and Doosan Infracore, a leading manufacturer of construction machinery and engines. In addition, Doosan Infracore Corporation has large-scale factories in South Korea, Belgium and China, a network of sales offices and dealers around the world. Annual turnover of Doosan Infracore Inc. Now amounts to 11 billion dollars. As a result of the transformation, Doosan is steadily implementing a strategy to achieve leadership in its segment in the 21st century and expects to become the world's third largest producer of construction machinery and equipment by 2012 after Caterpillar and Komatsu (look: Komatsu truck PDF Manuals) with annual sales of $ 12 billion.